Mr Hammond said the Government will not order business to hit the target, but instead is “creating the conditions for the market to deliver”. He is also launching a review of the productivity gap which hopes to study the practices of the country’s most productive firms, and spread their knowledge and capabilities to the rest. “Government can’t solve our nation’s productivity challenge alone, because it is not only about infrastructure investment. It is also about management skills at the level of the firm,” he said. This includes a ‘call for evidence’ looking for reasons why some firms fail to keep up with those at the cutting edge. Mr Hammond said the Treasury will put an extra ?20m into the ‘Made Smarter’ scheme run by Siemens UK’s boss Juergen Maier which puts new tehcnology into manufacturers’ supply chains. Another ?5.6m is going to Be The Business, a group set up by John Lewis chairman Charlie Mayfield which is examining ways for companies to boost productivity and to share best practice. 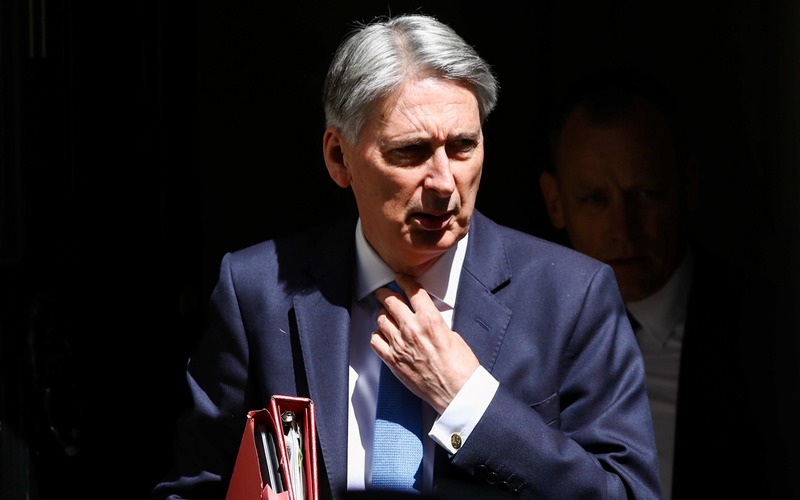 Mr Hammond’s speech comes after the CBI’s outgoing president Paul Drechsler told the Sunday Telegraph that politicians need to be more positive about UK business and present the economy to its best advantage globally. The British Chambers of Commerce also criticised the Government this week for failing to take “basic” steps to improve infrastructure and skills which could raise productivity growth from the unimpressive levels of the post-crisis era.